Just like kids, giving comes in many shapes and sizes. You may want to give online, hold a workplace giving campaign, participate in an in-kind gift drive or shop to give. However you decide to give, we are thankful that you have chosen Dayton Children’s as your charity of choice! Many vital programs, services and state-of-the-art technologies are made possible through individual and community donations. If you’d like to make a gift in a way not listed below please call 937-641-3405 to speak with a gift officer. Take a moment to explore the options below and learn how you can help us continue to provide the best care for our region's kids. Whether you make an online gift, cash or a check - every donation directly impacts real kids right here in our community. 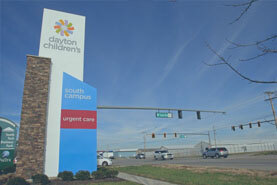 The easiest way to give to Dayton Children’s is right here… online! Visit our online giving page to give now. You can choose any amount to give and can even specify where you want it to go. If you don’t have a specific area you would like to give to it will go toward our miracle fund! By giving a monthly gift to Dayton Children’s you are ensuring a lasting impact on our patients! To set up a recurring gift please visit our make a gift page and choose the recurring/continuous gift option under type of gift. You will be able to decide when you want your gift to come out of your account each month. Remembering someone significant in your life? Celebrating a birthday or special occasion? Thanking a special caregiver? Gifts are gratefully accepted in honor or memory of someone special. To make a gift please donate online or send cash/check to the address listed above. Thank you for your caring gift to kids who rely on Dayton Children's! Are you web savvy? Maybe you want to get involved but don't have a lot of time to plan an event or collect donations. Or maybe you want to dedicate your birthday, anniversary, or other special event to helping sick kids in the community. Consider starting a Facebook Fundraiser for Dayton Children's! If you have a Facebook account, it's easy to start your own fundraising campaign and it's fun to get all of your friends involved! Learn more and remember to select "Dayton Children's Hospital" and your non-profit of choice! 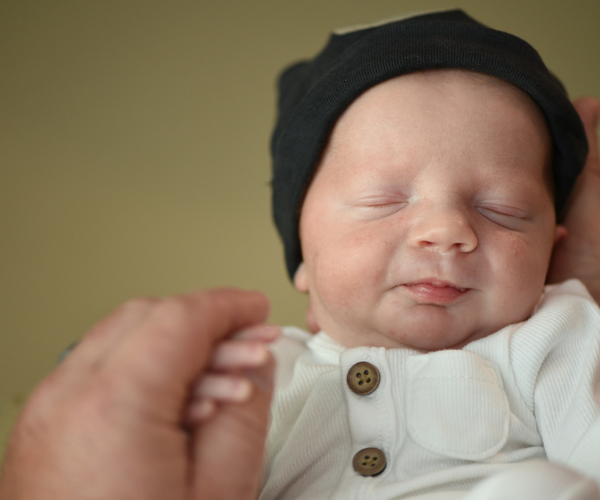 Donors are encouraged to consider gifts that have a lasting legacy for Dayton Children’s. There are many different estate gift options available. For more information visit our planned giving website or contact Lindsay Ackley, Director of Major and Planned Gifts, at 937-641-3295 with any questions or for assistance. Miracle Nation is an online ambassador group. We ask members to do one simple thing: share. You’ll be the first to know about big moments throughout the year to support our patients — such as sending a Valentine’s Day card, fundraising on #Giving Tuesday or attending a community event. We’ll provide links to social posts to share, emails to forward and simple actions to take to help spread the word. Do one or all of them – every bit helps! Every time you share our content you become a voice for the patients and families we serve. The generous support of the community is essential to keeping Dayton Children's as a resource for our local kids. Throughout the year, individuals, groups and organizations host events to benefit the hospital. Our community’s financial support and volunteerism make it possible for us to care for every child needing our services, attract top pediatric specialists to our staff, purchase the most advanced technology and accommodate the community’s need for key services. There is always a need for toys, games, books, movies, arts and crafts supplies, blankets, gift cards and educational materials for the child life department. Consider doing a wish list drive at your office, church, sorority/fraternity, classroom or with your family and friends. You can drop off items any time at the main information desk. Visit the wish list and start your collection today. Companies may establish workplace giving campaigns using a payroll deduction. 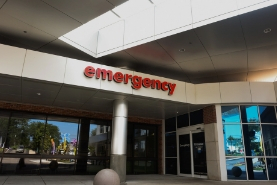 Dayton Children's can provide customized, co-branded campaign promotional materials and a customized website to make signing up simple for local and remote employees. For more details on establishing a workplace giving campaign, contact the Foundation at 937-641-3405 or send an email to getinvolved@childrensdayton.org. Dayton Children’s is proud to have the support of many amazing community businesses. 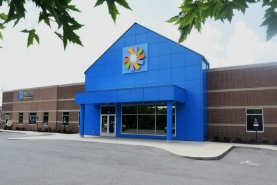 Giving to Dayton Children’s can be as easy as shopping with one of our partners. Whether it’s buying a Children’s Miracle Network balloon, shopping on Amazon or at Kroger or staying at a Children's Miracle Network affiliated hotel, the options to give to Dayton Children’s by shopping are easy and accessible! Check out our shop to give section for more info. Many companies will match donations for employees, their spouses or retirees. Learn more about matching gifts and how to apply for one from your company. For further questions about ways to give to Dayton Children’s please call 937-641-3405 or email us. When you give to Dayton Children’s you are helping to make a difference to kids right here in our region. Check out some of our miracle moments to meet some of the patients that your gift is helping.